If you want to leave your car parked undercover and away from the elements while you're away, undercover Birmingham airport parking is ideal. Undercover parking - or covered parking - is great if you normally keep your car in a garage, or you just want it tucked away while you're on holiday. Undercover parking is a covered parking area where you can leave your car during your travels. 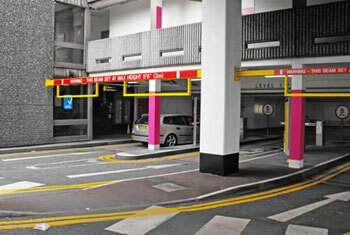 Undercover car parks can be multi-storey, underground or a purpose-built structure. All airport car parks, including undercover parking, are fully secured. The Birmingham Short and Medium Stay car park 1 and the Birmingham Short and Medium Stay car parks 2 and 3 are multi-storey car parks at Birmingham airport, both offering undercover parking. As well as offering undercover parking, these car parks are also the closest to the terminal. You can simply park your car, unload your luggage and walk to check-in. Each car park is fully secured with CCTV, entry and exit barriers, floodlighting and regular site patrols. Both car parks have been awarded the Park Mark. 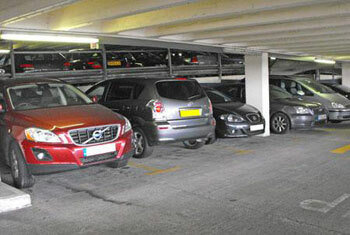 Car parks which have been awarded the Park Mark are regularly inspected by the police. Pre-booking is easy and could save you lots of money. Simply enter the dates and times you want to park, select the car park of your choice, fill out your details and then process your booking. We'll then send you a booking reference and a confirmation with everything you need to know. And remember, the sooner you book, the better the price.